KINSHASHA – The publication of the provisional results of the general election in the Democratic Republic of Congo (DRC), initially expected to be announced on Sunday, has been postponed until next week, according to Corneille Nangaa, president of the Independent National Electoral Commission (INEC) of the country. “It is not possible to publish the results on Sunday. We are progressing well but we do not have everything done yet,” said Corneille Nangaa without specifying the exact date scheduled for publication. “Next week we will certainly have the result,” he added. According to Nangaa, the INEC had only received around 45 to 48 percent of ballots across the country. The election kicked off on Dec. 30 in the country, except for three cities due to insecurity and the Ebola virus epidemic, which had been hitting a large part of the North-Kivu province in eastern DRC. 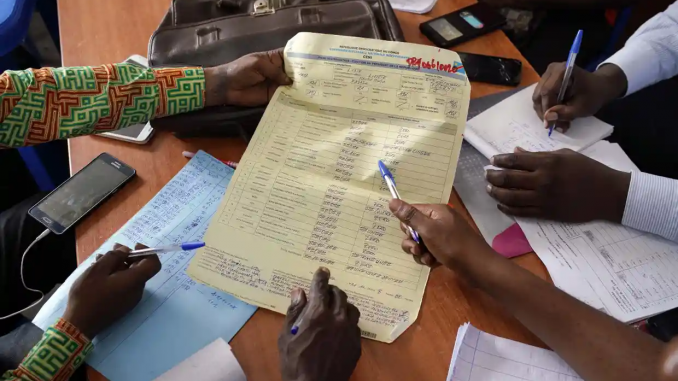 Martin Fayulu, candidate of the coalition “Lamuka” of the opposition has already claimed the victory of this election in spite of the call of the INEC asking to respect the rules which give the INEC the exclusive right to publish the provisional and final results of elections in the DRC.